Successfully Added EasyN HD Dome Camera - 1080P, PTZ, 5x Optical Zoom, Night Vision, IR Cut, 1/2.7 Inch Sony CMOS, Weatherproof, Android + iOS to your Shopping Cart. Wireless dome PTZ Camera allows for quick and easy setup and can be viewed remotely from your phone. Keep an eye on your private property with this mini dome camera. The EasyN dome camera comes with 1080P resolution, night vision and 5x optical zoom, letting you always stay in the know as to what's happening when you are away. Keep a close eye on your property with the EasyN HD mini dome camera. The pan-tilt security cam has been designed to give you a full view of what’s happening at your home or office when you are away. You will get high quality video feedback thanks to the camera’s 1/2.7 Inch Sony CMOS Sensor and 5x optical zoom. Thanks to 6 built-in LED arrays, the mini dome camera will also provide you with quality video feedback after dark - coming with up to 20 metres night vision. 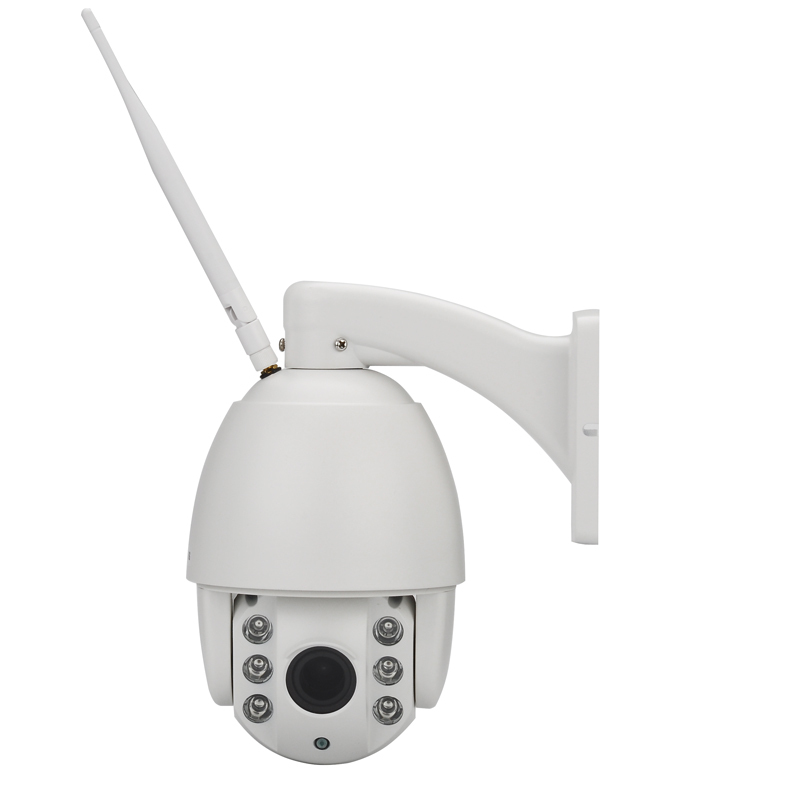 The PTZ camera is Weatherproof and fit for use both indoors and outdoors. To ensure that you always have the best viewing angle, the camera can move 335 degrees horizontally and 90 degrees vertically so nothing can escape its view. Featuring the popular H.264 video compression, the pan-tilt HD camera can compress large video footage while preserving its quality and saving up space. So, with the cam’s 16GB of internal memory and the support of up to 64GB on an SD card, you are sure to have plenty of space for all your recordings. This fantastic wireless dome camera is easy to install requiring minimal cableing and comes with app support for Android, iOS and Windows – so, you will be able to keep an eye on your property from afar no matter which operating system you prefer. The EasyN HD Mini Dome Camera comes with a 12 months warranty. Brought to you by the leader in electronic devices as well as wholesale wireless PTZ cameras..